Our team of highly trained and qualified home remodeling contractors will work closely with you to take your ideas and vision and turn them into the bathroom of your dreams. We have the capacity to handle each phase of the project. We make it our goal to deliver complete satisfaction and peace of mind to each of our customers by providing high quality craftsmanship a fair price. Our commitment to our craft is proven in each project we complete. Welcome to DXL Construction, LLC. 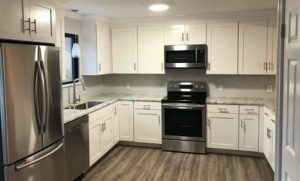 Based in Fairfield County, CT, DXL Construction has built a reputation as providing a superior home construction and renovation service at affordable and competitive pricing. We are able to do this because we specialize in what we do, which means we can complete our projects an efficient and timely manner. We have perfected the process of adding significant value to your most important investment, which is your home. With ample design experience and awareness of the latest interior design trends, we are capable of adding a high level of beauty and functionality in all the important spaces of your home. Our quality interior and exterior remodeling services guarantee a beautiful, long-lasting impact, which you your family can enjoy for many years to come. Family owned and operated, we perform all levels of building and remodeling. We offer start-to-finish solutions for every project, as well as full design services. We specialize in interior or exterior home renovations, including bathroom and kitchen remodeling, home additions, garages and more. We guarantee high-quality construction for each and every project. We manage the entire process from start to finish which secures you the best prices at every step and ensures the entire project is completed within your specifications and desired budget. 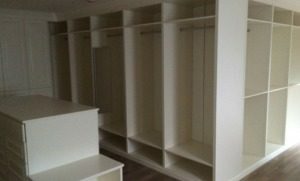 Head over to our Portfolio Page to view samples of our recent work, and you’ll find that we’re the best choice for your home renovation project! 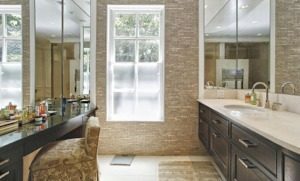 If you are interested in designing and construction a new luxury master bathroom retreat, or your bathroom simply requires updating for the safety and ease of your growing family, we can assist you. When it comes to creating a beautiful kitchen for your home, we take your ideas and our expertise and combine them to create the best space for your needs. We guarantee high-quality construction for each project. 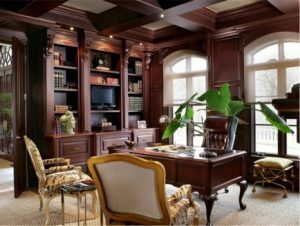 We provide custom services for kitchen cabinets, bathroom vanities and cabinets, fireplace mantels and surrounds, built-in entertainment / theater centers, wet bars, countertops, and more. Chris did a great job with my (22 x 44) addition. I am pleased with his work. He was always helpful, very polite and professional. He was able to build a larger deck that wasn’t included in the original budget. Job was finished when expected. I recommend DXL Construction. DXL has done several projects around my house. They did a bedroom remodel. The finish product was above our expectations. The detail on the finishing carpentry is beautiful. My wife spends a lot of her down time in her beautiful bedroom. I would recommend Chris and his team to anyone. They are not afraid to take that extra step to make sure a project is done right.